All orcas can be identified by their saddle patch, a grey or white marking on their back that wraps around the dorsal fin. Each saddle patch is unique like a human finger print and occurs on both sides of the body. Each side of saddle patch can be shaped differently. Other good identifiers are the size and shape of the dorsal fins, any nicks or notches in the fins, their distinctly shaped eye patches (a white patch on both sides of their head), cheek markings, belly markings, freckles, and scratches. 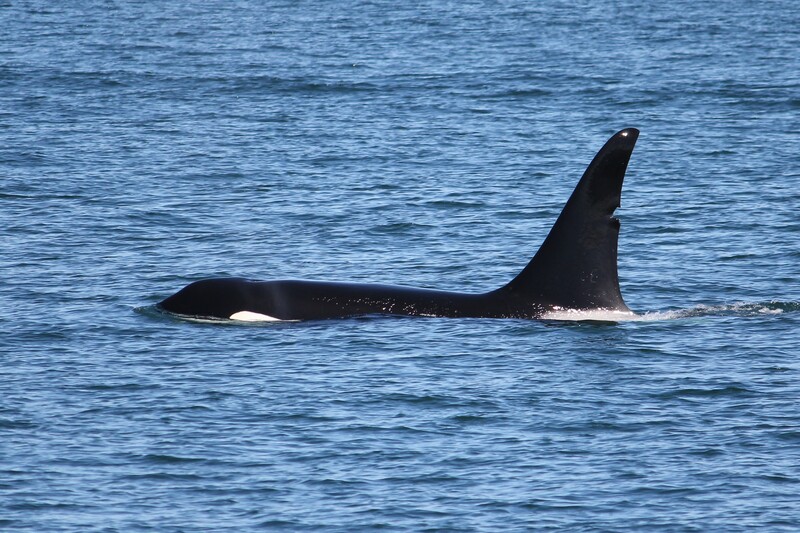 Do you have any photos of orcas taken in British Columbia or Washington State and want help identifying them? Send me your photos by email and I will try my best to identify each orca for you, free of charge. 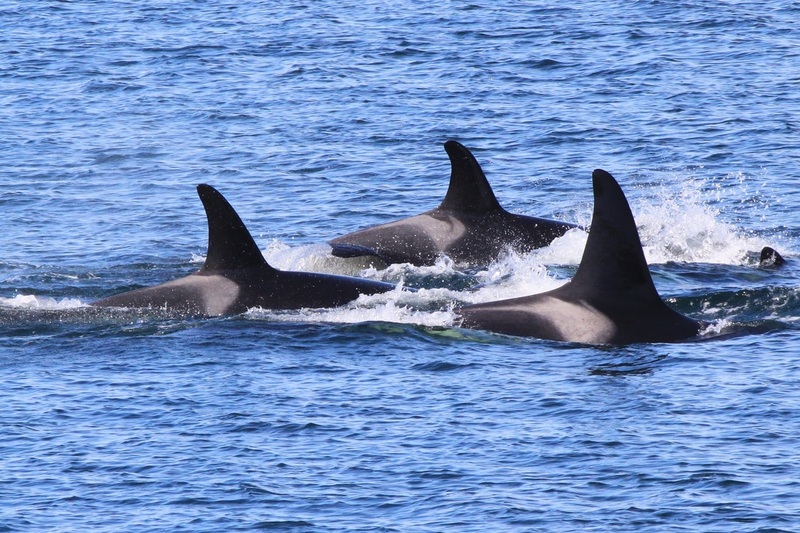 From these identifying characteristics, I can tell you whether the orcas are Resident (Southern or Northern), or a Transient, what pod or matriline they are from, their ages, and more. Southern Resident orcas Midnight L110, Mystic L115, and Moonlight L83. Note the differences in their saddle patches. Transient male T125A. Note the large notch in his dorsal fin.